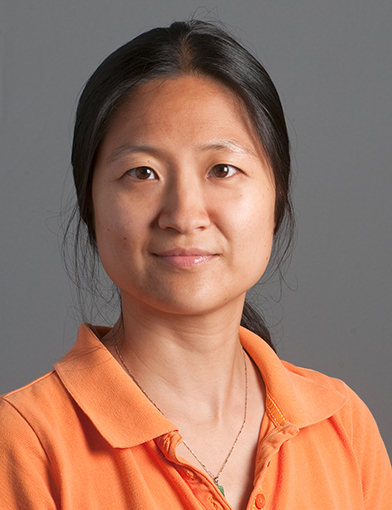 Chen is one of the primary biostatisticians for the General Clinical Research Center. She has expertise in analyses of survey data, clinical trials, and longitudinal. She has extensive experience with analysis of pesticide data. Chen is a collaborator in several occupational studies evaluating the association of occupational exposures and health outcomes. These studies include Occupational Injuries among Immigrant Poultry Workers, Community Participatory Approach to Measuring Farm Worker Pesticide Exposure: PACE3, and Community-Based Participatory Approach to Farmworker Housing, Exposures & Health. A Comparison of Self-report Indices of Major Mobility Disability to Failure on the 400-m Walk Test: The LIFE Study. Chen H, Rejeski WJ, Gill TM, Guralnik J, King AC, Newman A, Blair SN, Conroy D, Liu C, Manini TM, Pahor M, Ambrosius WT, Miller ME, . J. Gerontol. A Biol. Sci. Med. Sci. 2018 03; 73(4):513-518. Exploring Associations Between Postural Balance and Levels of Urinary Organophosphorus Pesticide Metabolites. Kim S, Nussbaum MA, Laurienti PJ, Chen H, Quandt SA, Barr DB, Arcury TA. J. Occup. Environ. Med. 2018 Feb; 60(2):174-179. Pesticide Urinary Metabolites Among Latina Farmworkers and Nonfarmworkers in North Carolina. Arcury TA, Laurienti PJ, Talton JW, Chen H, Howard TD, Barr DB, Mora DC, Quandt SA. J. Occup. Environ. Med. 2018 Jan; 60(1):e63-e71. Olfactory Function in Latino Farmworkers Over 2 Years: Longitudinal Exploration of Subclinical Neurological Effects of Pesticide Exposure. Quandt SA, Walker FO, Talton JW, Chen H, Arcury TA. J. Occup. Environ. Med. 2017 12; 59(12):1148-1152. Imputation of Gait Speed for Noncompleters in the 400-Meter Walk: Application to the Lifestyle Interventions for Elders Study. Chen H, Ambrosius WT, Murphy TE, Fielding R, Pahor M, Santanasto A, Tudor-Locke C, Jack Rejeski W, Miller ME, . J Am Geriatr Soc. 2017 Dec; 65(12):2566-2571.